I often get asked by friends and family ‘how do you apply foundation?’ for me this is a pretty simple task but that hasn’t always been the case so I wanted to explain what I’ve learnt and if you are looking for tips then I hope these can help you. I’ve been through many different methods and tried lots of different tools and I’ve finally found a routine that works for me every time to ensure my foundation application is flawless and long lasting. Freshen Up: Start by preparing your skin for foundation application, this means to remove all residue makeup and to clean the skin. 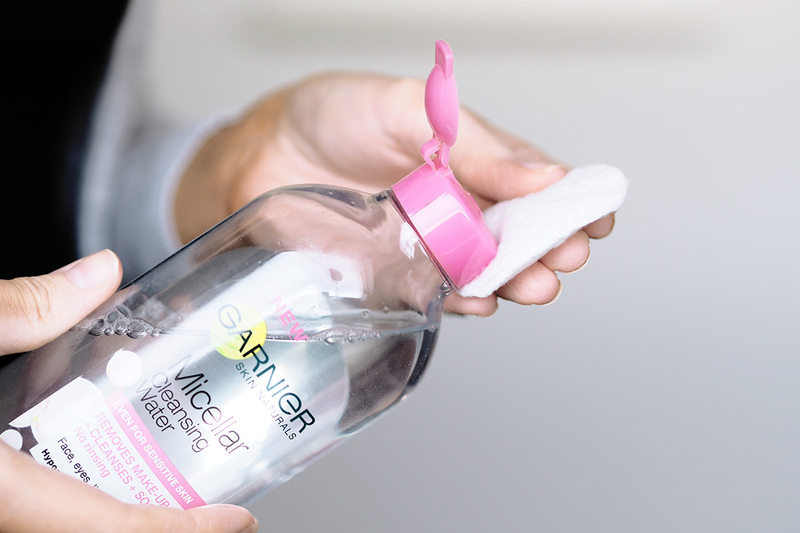 Use a cleansing water like Garnier Micellar Cleansing water with a cotton pad to ensure skin is fresh and clean. Moisturise: A step not to miss is moisturising, make sure your skin is fully hydrated for a smooth application and to prevent the skin from getting dry or patchy throughout the day. If you have oily skin you can still moisturise, you may have already found the perfect moisturiser for you but if you haven’t then make sure you use a gel-based moisturiser that is matte to stop any shine coming through. Prime: When people ask me what steps I use to ensure my foundation stays on all day long I tell them I prime my skin, a lot of girls may miss this step out and this is probably why your foundation isn’t lasting as long. I tend to prime my skin when I am doing my makeup for an occasion or when I know I won’t have an opportunity to touch up or check my base. A great primer I use is Benefit Porefessional, this is great for also minimising large pores and smoothing over the skin. Tools: If you really want to have a flawless application then the tools and the way you apply is key. 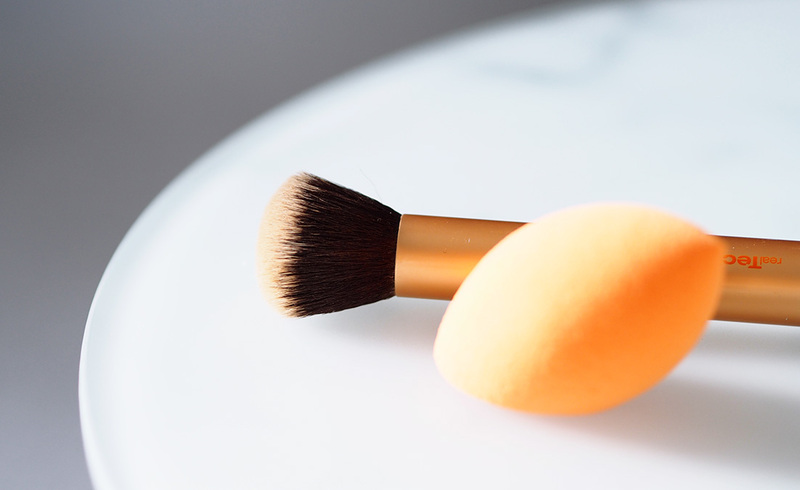 Use a foundation brush or beauty sponge to apply your foundation, I like to use a buffing type brush to apply rather than a flat foundation brush as it looks better when buffing the product into the skin rather than dragging it around the face which is a mistake we all tend to make with a flat foundation brush. If you would rather use a sponge then use a damp Real Techniques Complexion Sponge using bouncing motions all over the face until you are fully covered and happy with the finish. Tip: After you’ve applied with the sponge or even after using a brush go over your face with the sponge by rolling it over areas you feel aren’t as flawless as you’d like, this will give an airbrushed effect and also absorb any left over product. Conceal: If you have perfect skin already then this is a stop you could miss out but for us mummas out there then concealer is a must have. Use a concealer to hide any blemishes you may have, dark circles, redness and any discolouration. Set: Final step but a very important one, set your foundation. 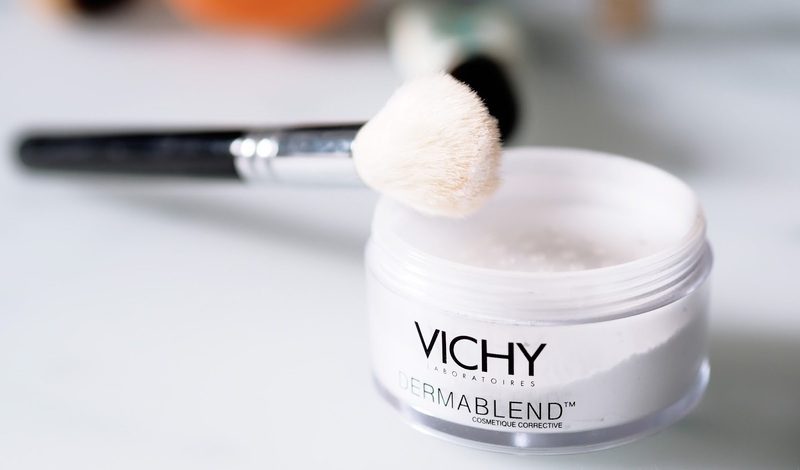 Use a translucent powder such as the Vichy Dermablend Setting Powder on a small soft brush and apply to any areas that would usually get shiny such as the forehead, nose, chin and under eye area to ensure your foundation lasts and looks natural. You will now have that perfect base ready for bronzer, blush and highlight application should you wish. I always like to apply a bronzer and highlighter to finish off my look but this is not essential especially if you are in a rush, as long as the foundation is good then you will feel great! I hope you found these tips helpful, I’d love to know if you have any top tips on foundation application. Did you have any disasters whilst growing up?